My Many Colored Days may not be as well-known as The Cat in the Hat or Green Eggs and Ham, but this Dr. Seuss book is a true work of art. Written by Dr. Seuss in 1973, and later illustrated (amazingly, I must add) by husband and wife team Steve Johnson and Lou Fancher, this children’s book takes kids through a range of emotions in vivid color. Whether you’re looking for an art activity to accompany this book, you want to help your child to explore the creative process or you’re teaching a lesson on colors, making a mixed-media monochromatic (one-colored) collage allows little hands to explore and experiment with materials. 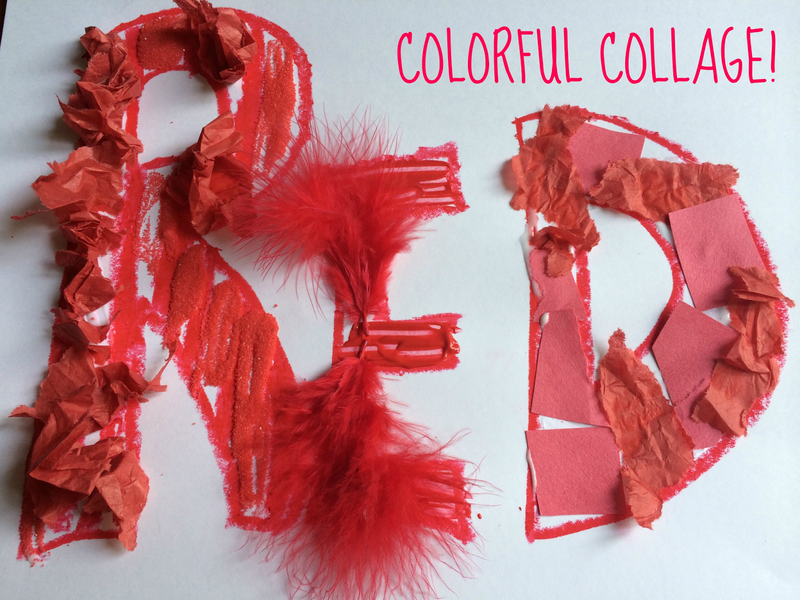 Add an extra literacy layer on to the art-making and start by writing or stenciling the color word (in this case it’s “Red”) or just let your child go free-form and create her own abstract masterpiece. 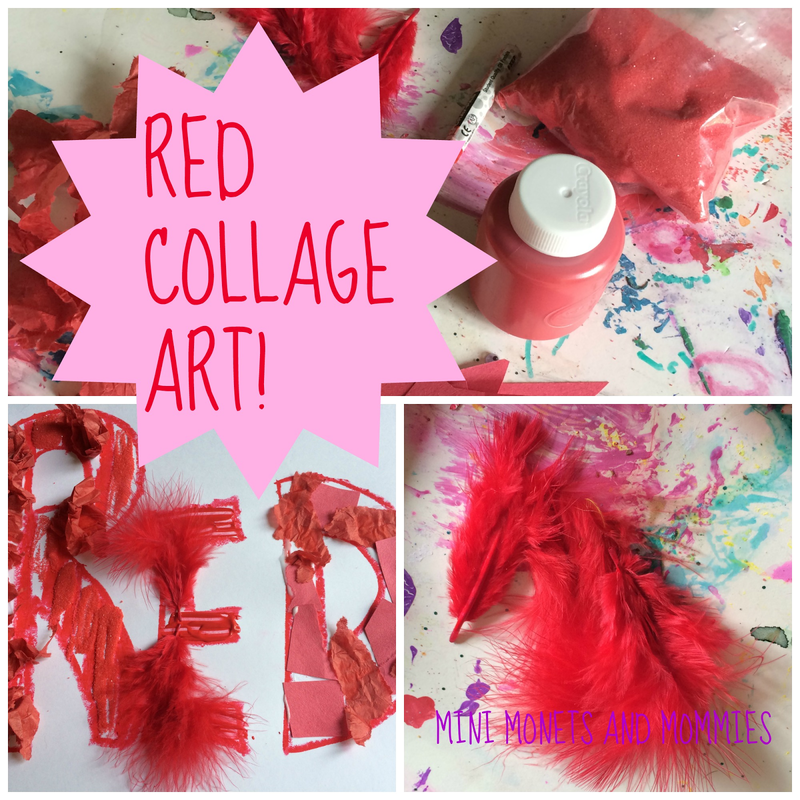 · An array of red art materials – Give your child plenty of choices. I used tissue paper, construction paper, craft sand, craft feathers, tempera paint and an oil pastel. Look for items that have slight variations of the main color. In this case you might add in a maroon, cherry red and light (almost pink) red. 1. Choose either a letter collage or abstract artwork. 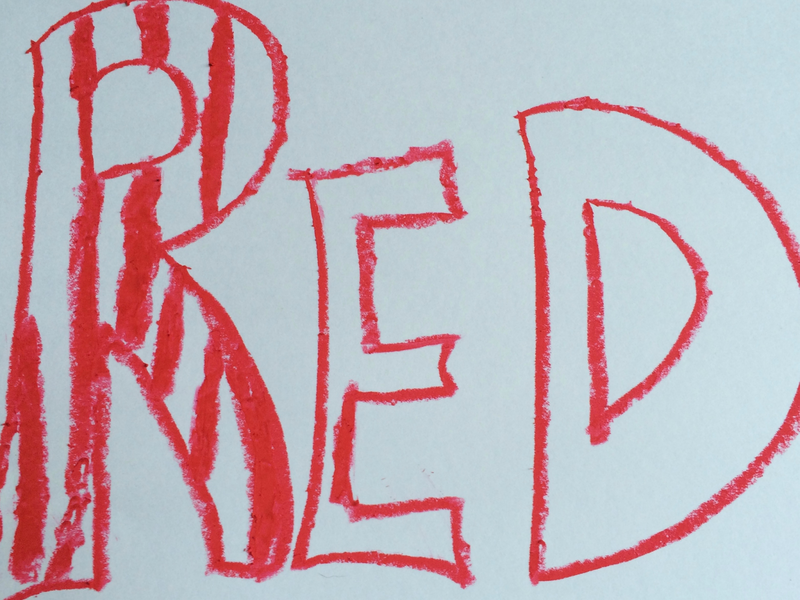 If your child is making a letter collage – have her draw the letters RED on the paper. If she’s struggling, you can draw them first using a pencil and have her trace over them or she can use alphabet stencils. 2. Create piles of the different materials. This makes it easy for your child to see what she has to choose from. Let her cut or tear pieces of tissue or construction paper. 3. Sit back and watch as your child works away, making her Many Colored Days themed red art! Are you looking for more colorful art creations? Check out the Mini Monets and Mommies Facebook page for a week’s worth of color activities. If Dr. Seuss activities are on your young artist’s agenda, visit and follow my Pinterest board for more ideas! Follow Mini Monets and Mommies's board Dr. Seuss Children's Activities on Pinterest. I love the way you are exploring RED! This looks like such a fun and creative activity.